Testing of the first iteration of the Physics Plank was eye-opening to the many ways it could be improved. For one, although the kids were initially intrigued by the device due to its uniqueness, its design and functionality were so simple that it maintained their interest for only a few minutes. The tiny LED light that responded to their movement was not an engaging enough response to really make the device enjoyable to use. 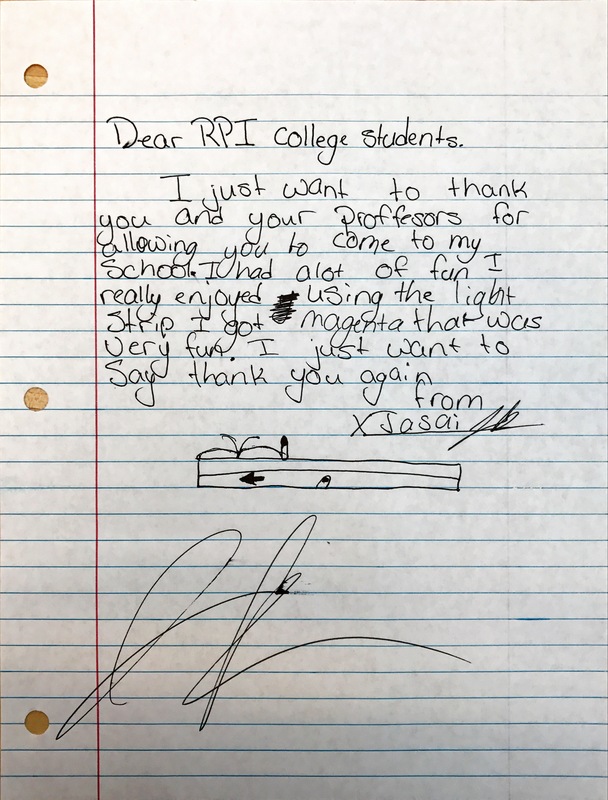 One student specifically said that the light should be bigger. Enjoyment of using the device was hindered by a number of other factors as well. Because users had to move their finger back and forth along the ribbon sensor so vigorously to get a response, it was difficult for them to keep their finger on it, which is necessary for it to work. Difficulty in using the device was exacerbated due to the board sliding back and forth along the table. This required another person holding the board in place, which required great effort. The testing group had other suggestions for improvement. First, they liked that the wiring and the Arduino components were exposed so that you could see the inner workings of the device. However, these delicate components were subject to damage or becoming detached because they were so close the the ribbon sensor where the user is swinging there hand back and forth. One student suggested covering the electrical components with a clear casing so that they could still see the hardware that also would prevent damage to the device or obstruct use. Secondly, one student suggesting a getting a wider ribbon sensor or putting two right next to each that behaved as one wide one to create more surface area since keeping their finger on a single, narrow sensor proved to be challenging. The technical feasibility of these suggestions is questionable, but this problem will be considered for the next iteration. Another interesting problem that came up during testing was friction. In order to get a response from the device, users had to rub their finger back and forth so vigorously that the heat caused by the resulting friction became unbearable. Also, the pressure required for the sensor to detect motion made it difficult to actually slide one’s finger on the relatively high-friction sensor. The students suggested making a finger cover out of cloth that would greatly reduce the friction and make it easier to slide (one kid had a band-aid on his finger that slide well). Finally, during testing there was a graph on the computer depicting a wave that responded to the users movement. When the students saw this, they were more engaged with the device than when the only response the device gave was the changing light color. 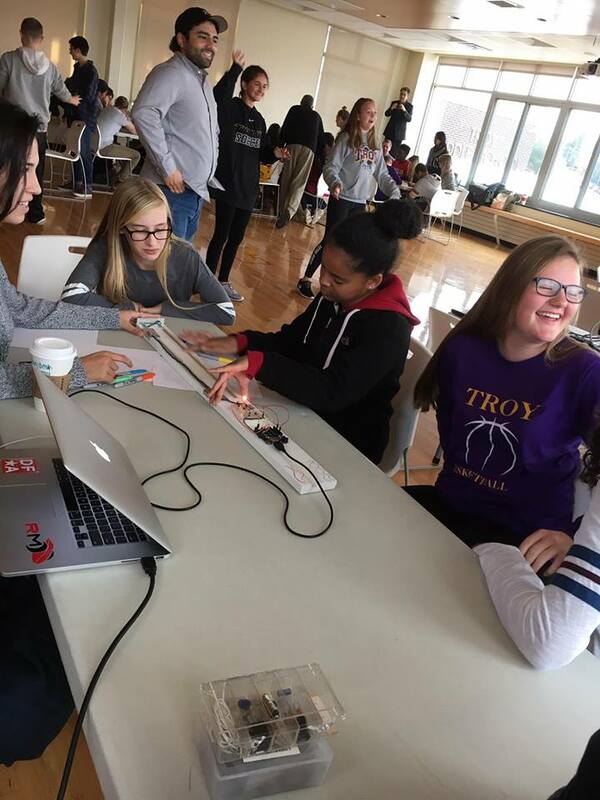 Although this was not really a function of the device and more a capability of the code, the students’ response to the wave was so great that it became clear this function should be incorporated in a future iteration. 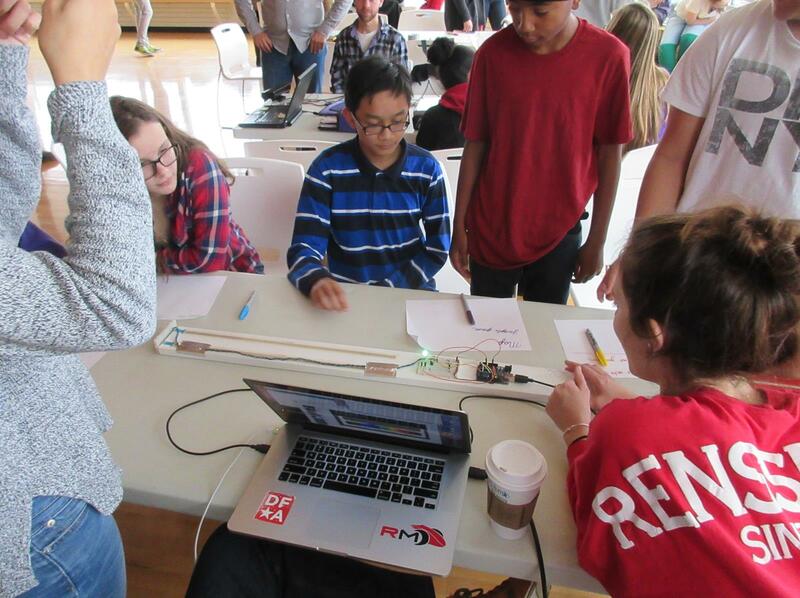 Overall, the device was successful in performing its basic function and piquing the interest of middle school-aged students. However, the device was incredibly difficult to use due to a variety of factors. These issues will be addressed as well as developing more functionality to create a more successful product. 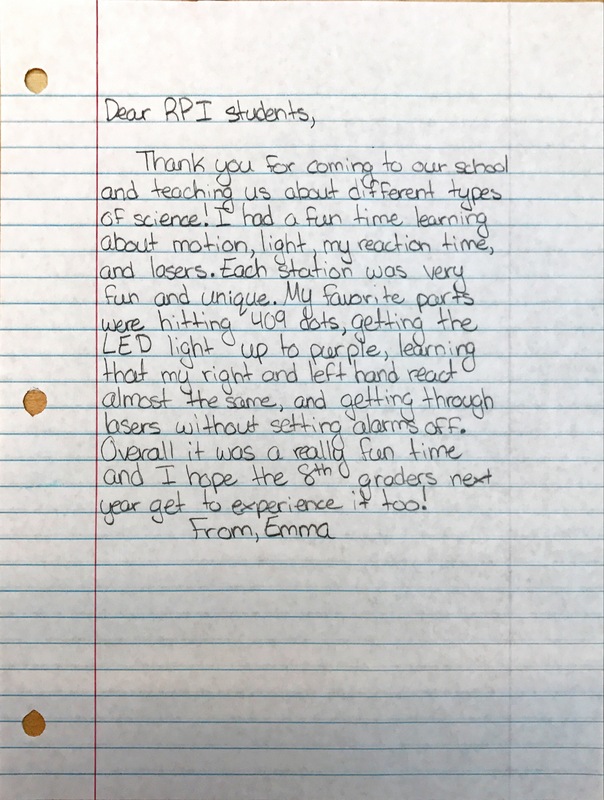 After conducting user testing with the kids, they sent us notes thanking us for coming to the school and showing them cool devices. They also shared some additional comments about their experience and new ideas for the products. Below are a few examples.